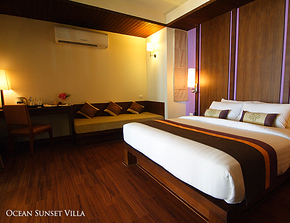 Crown Lanta resort on Kawkwang Beach has three types of Villa that you can book online immediately. 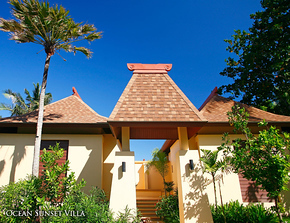 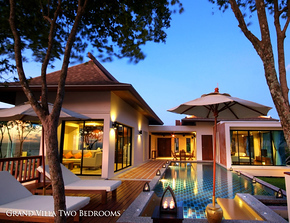 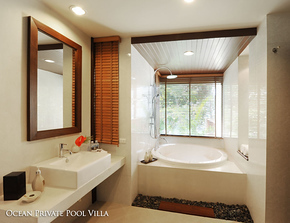 (Compare with other Koh Lanta Hotel Villas and Koh Lanta Villas). 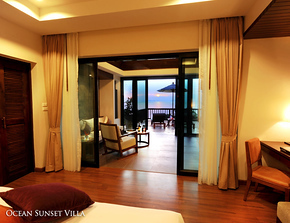 The Ocean Sunset Villa provides a spacious balcony with seaview, along with king sized bed and living area as well as ensuite bathroom. 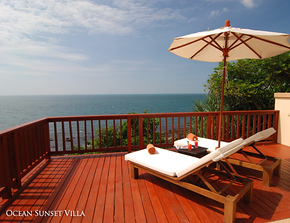 There are 8 Ocean Sunset Villas. 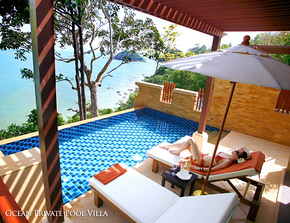 The Ocean Private Pool Villa has a beautiful private pool and balcony with panoramic views across the ocean towards Koh Phi Phi, as well as king size bed, living area, ensuite bathroom with bathtub and also a rainfall shower. 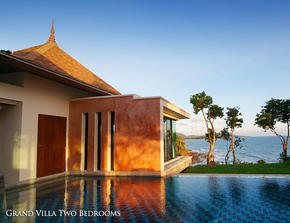 There are 8 Ocean Private Pool Villas. 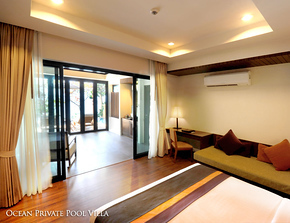 The two-bedroom Grand Villa is a uniquely placed at the highest point of the Crown Lanta resort with its own private swimming pool, two bedrooms with king-size beds, two bathrooms, two separate living areas and also the outdoor living area by the pool. 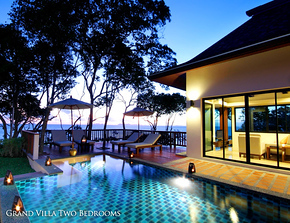 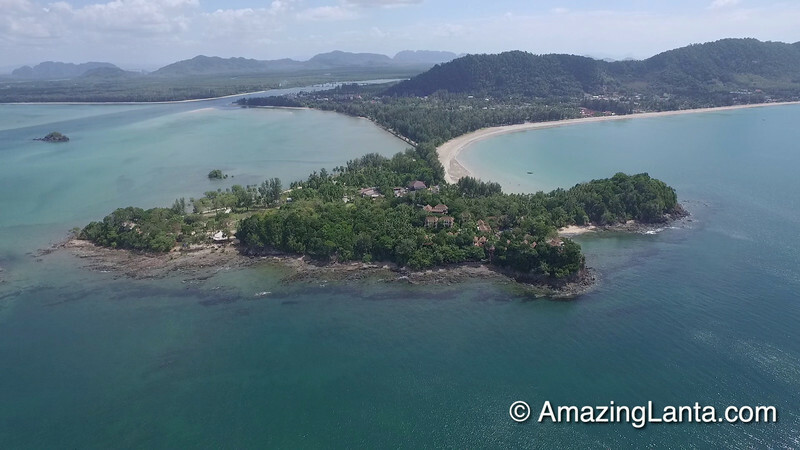 You can also view more Koh Lanta Hotel Villas and Koh Lanta Villas.